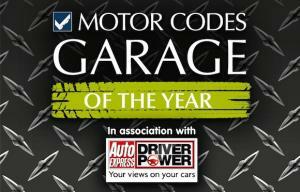 The winners of the national Motor Codes Garage of the Year competition have been announced. The annual awards were given out at the Auto Express Car of the Year awards in London and celebrate the outstanding firms operating within the motor trade industry. Chosen from a shortlist of 20 of the best regional car garages, the award for best independent firm in the UK went to Crescent Motoring Services in Burton upon Trent, while the main dealer title was awarded to Swindon’s Pebley Beach Hyundai. Having a proven track record of excellence will not only gain companies recognition at black-tie award ceremonies, it can also save them money when it comes time to renew their motor trade insurance. By ensuring diligent security measures are in place and a proactive approach to risk management is taken, firms can eradicate the need to claim on their insurance policy – this in turn could see the price of a policy fall over time. Any garage that complies with Motor Codes’ Trading Standards was in the running for an award, meaning there was a field of 8,000 garages to choose from. The eventual shortlist was narrowed down based on the basis of more than 13,000 online reviews before judges then assessed the top scorers to select the eventual winners. Motor Codes is the government-backed, self-regulating body for the motor industry. The organisation’s managing director Chris Mason said this when presenting the awards: “Both businesses share a commitment to their staff and customers to drive quality, investing in apprentice programmes and partnering with local colleges through community programmes.